WTSH Classic Trax Archive: Galaxie 500. Fourth of July. TONIGHT! WTSH on Strangeways Radio. Stream Live 10pm EST/9pm CST. TONIGHT! 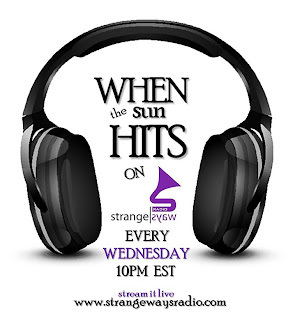 WTSH on Strangeways Radio - Expect to hear a brand new exclusive from Drowner's new LP, new ones from Weekend, Lilies On Mars, Marnie & SLOWNESS, along with some classic gazer anthems thrown in the mix, as well. Album Review: Still Corners. Strange Pleasures. (SubPop May 2013). Reviewed by Ellie Sleeper. If Still Corners' debut, Creatures of an Hour, was a somewhat cold and frigid whisper, their sophomore effort, Strange Pleasures, is a euphoric sigh. The masterful confidence and ease is apparent, while the group still exhibits some of their characteristic restraint. The pace is quite drowsy, but not without energy. 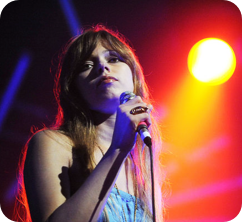 The duo is more enchanting than distant now, more dreamlike and cinematic than ever before. The Londoners have no shortage of movement in their latest work; synthesizers sparkle and swirl around every song. This increased energy is perhaps the most notable improvement for Hughes and Murray. There is a tangible sense of purpose throughout Strange Pleasures. That they bring a very organic and pastoral element to their futurism is also thoroughly energizing. It stands in stark contrast to some of the recent trends of cold, aloof, and disinterested delivery. The whole album is so solid that it is almost difficult to pick songs that stand above the rest. "All I Know" plays well with repetition and features a few syrupy guitar licks which greatly complement clever and uncommon touches like harp melodies. "Beatcity" brings early synthpop and krautrock instrumentation to a uniquely human place, and its chugging bass synthesizers are a welcome breath of urgency. Album closer and title track, "Strange Pleasures" positively smolders with soul and passion, and is also not to be missed. The one misstep here is the oddly misplaced "Berlin Lovers." 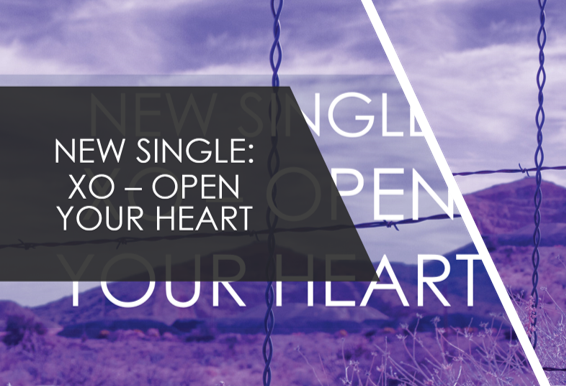 That it was also chosen as a single is even more perplexing. While it is a good pop single and is not at all a bad song, it is an incredible departure from every other number on Strange Pleasures. The brassy, warbling synth hook can actually inspire some discomfort if one is not expecting it, especially considering the restfulness of everything that precedes it. "Future Age" suffers from a bit of the same problems, but is more graceful and fitting. Overall, Strange Pleasures glows and flickers calmingly. Its science fiction psalms radiate a very sincere warmth that listeners should find irresistible. It's a perfect soundtrack for summer evenings, and a stellar addition to any album collection. 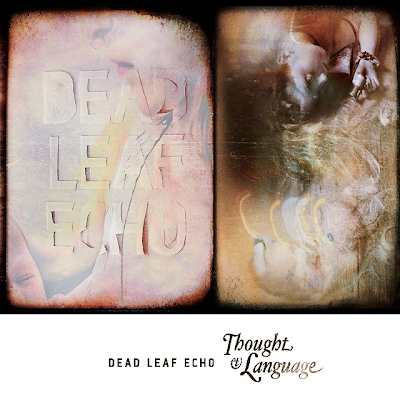 Standouts: "All I Know", "Beatcity", and "Strange Pleasures"
Cross Posted Album Review: Dead Leaf Echo. Thought & Language. Reviewed by Nathan Ford. "She was only the dead-leaf echo of the nymphet from long ago ..."
An interesting and seemingly self-effacing quote to name yourself after if you're a band operating in a genre that a number would consider had peaked near it's creation in the late eighties and early nineties. Of course those who dig a little deeper will be aware that there's a vibrant current shoegaze scene that certainly stands proudly with the original in terms of quality and invention, even if the wider music media tend to virtually ignore it, and retreading former glories is something that bands like Dead Leaf Echo should never be accused of. Sure, Brooklyn based nu-gaze (or nouveau wave as this bunch refer to themselves) three piece Dead Leaf Echo don't mind wearing their influences on their sleeves, but with a full length debut as strong as "Thought & Language" they can consider themselves peers rather than imitators. 4AD producer John Fryer (Cocteau Twins, Lush, This Mortal Coil) is on hand to mix, and this certainly helps conjure an authentic shoegaze aesthetic that recalls variously, early Swervedriver, Lush, Chapterhouse and the Boo Radleys before they discovered the Beach Boys. 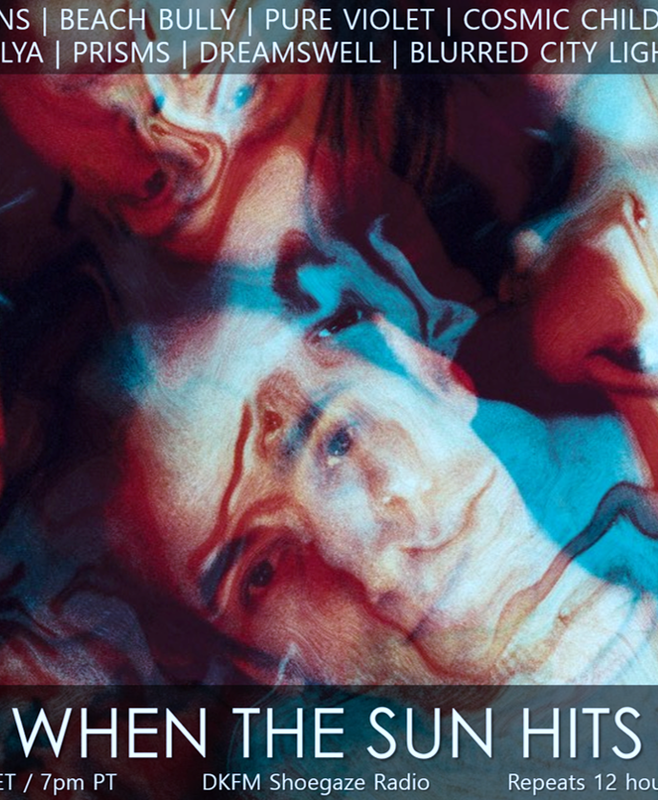 When The Sun Hits is now contributing to a weekly blog feature on the Strangeways Radio blog called Strange Week in Music. The full article can be found on the Strangeways blog; WTSH cross posts it only partially, with a link to the full article provided. Strange Week in Music gives each Strangeways DJ an opportunity to highlight one track that is related to his/her show that week; the article will include information, links, images, a video/stream of the tracks and where they can be purchased. You can think of it as Strangeways' Week at a Glance. If you are new to Strangeways Radio, or are curious about other station shows aside from WTSH, this weekly feature on the Strangeways blog will be the perfect introduction. Below is WTSH's latest contribution. Set List for WTSH on Strangeways Radio. Originally Aired June 19, 2013. The Soft Moon. Total Decay. Glifted. Is There Any Always. Tones on Tail. Performance (7 inch version). The Voices. Take the Pain Away. The Raveonettes. You Hit Me (I’m Down). Engineers. What Pushed Us Together. Jetman Jet Team. Radio Track Star. Video: The Ocean Blue. Blow My Mind. Fun Find: Shoegaze Cat on Tumblr. Track Spotlight: White Night Ghosts. Decadence. Track Spotlight: VibraGun. Dream Disintegrate. Track Spotlight: Jetman Jet Team. Rainbow Party. New Video: Ceremony. I Want to Kiss.